Clearance(mm): 41 Horz. x 51 Vert. 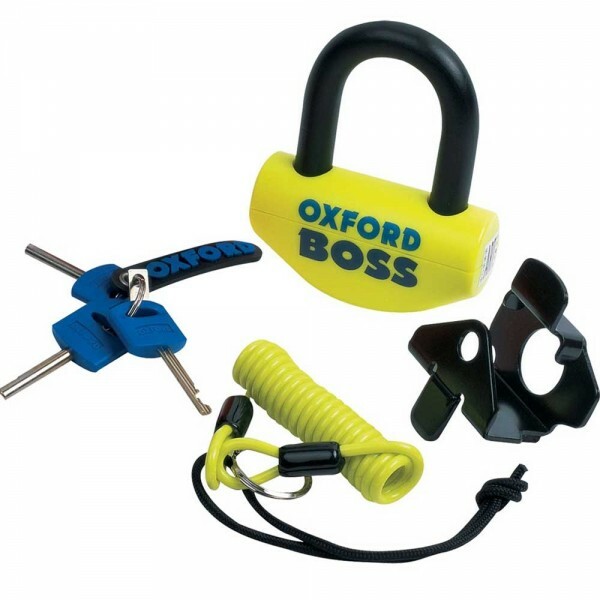 The Big Boss super strong disc lock from Oxford is a universal lock suitable for use with all motorcycles of varying sizes and types. Endorsed by Thatcham Vehicle Security, the Big Boss super strong lock attaches to your motorcycle brake discs which in turn will prevent the wheel being turned. This means that potential thieves won't be able to ride or push away your motorcycle. Featuring hardened steel armour casing to resist tampering and a unique double locking system with hardened 16mm shackle that will deter even the most persistent thief.